Cull.TV: The Future of Music Television? Welcome to the future of music television. Thanks for tuning in. This is the bold welcome the founders of Cull.TV, a startup out of the San Fransisco Bay area, gives to would-be video curators who use the service to create their own playlists or discover new music videos. 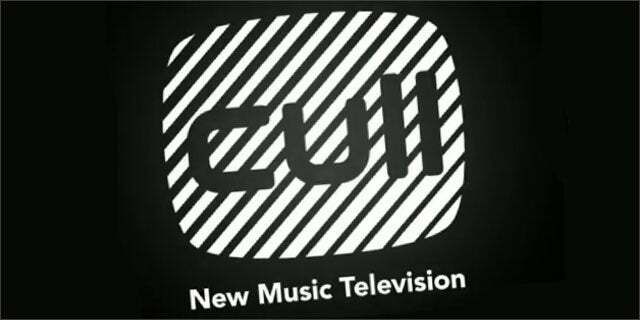 Cull.TV greets you with a retro, somewhat fuzzy color TV logo, yet what’s inside is anything but old and outdated. It’s quickly apparent that Cull.TV is different from any YouTube channel you’ve ever seen. The full-sized black screen overlaid with video is striking, and the site’s user experience is artful. The simple navigation of the site is hidden unless you click on the background, leaving the focus on the video. And the drag and drop in the playlist is nice – it’s the same feel and elegance of the queue at Grooveshark. 150 years of YouTube video are watched every day on Facebook, and every minute more than 600 tweets contain YouTube links. Somewhere between commercials from the ’80s and How to Videos, there’s music. A lot of it. Cull.TV was founded by a group of music industry professionals from Sony Computer Entertainment, Linden Lab, Intel, and others in order to bring order and function to all of these videos. Our goal is to bring the music television experience into the Internet age with simplicity and style. No more clicking from music video to music video or site to site to watch what’s trending now. Cull’s streamlined interface brings it all together in one place. On Cull, you’ll find new videos from music’s leading tastemakers and artists updating constantly. There is no need to recap the wealth of music-find startups out there, mainly because everyone has their favorites, depending on what they want to do. Just like bands need to use the web to create or cull a fan-base that will follow them offline, DJ’s need to as well. Cull.TV is a venue for both of these audiences, and the company is open to aiding in this type of promotion by soliciting suggestions for new channels and getting the word out via its social media channels. Cull pulls videos in from both YouTube and Vimeo without restriction. I tried Cull.TV by listening to some of the other playlists being promoted. I searched and “culled” my own, as well as just letting the Auto DJ find some for me. The Auto DJ is like the genius function on iTunes, letting you get a nicely populated, related-genre list of music to play in the background. Channels to choose from include Music from Occupy Wall Street, ‘Chilean Rock’ and a Tribute to Steve Jobs. The visual display of playlists makes it easy to find new music or take a walk down memory lane, and it will get more robust as more channels get added.